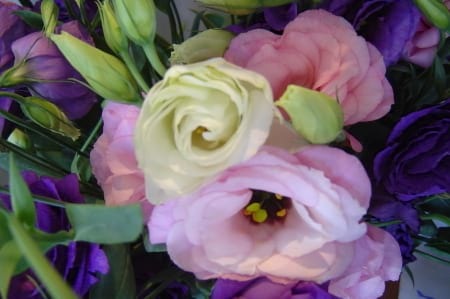 This designer bouquet is elegant and will make a striking piece in any home, office or function centre. Featuring long lasting and classic blooms this is a gorgeous way to say thank you, I miss you, happy anniversary or just because. Amaranthine`s Pretty in Pink Bouquet is filled with classic lissianthus and seasonal flowers this is a unique bouquet created by Amaranthine Flowers By Design, New Lambton, Newcastle and delivered in a convenient temporary vase. Same day delivery available, seven days a week, to all areas of Newcastle and Lake Macquarie, including John Hunter Hospital, Charlestown Square, Newcastle Private Hospital, Lake Macquarie Private Hospital, and Mater Hospital.